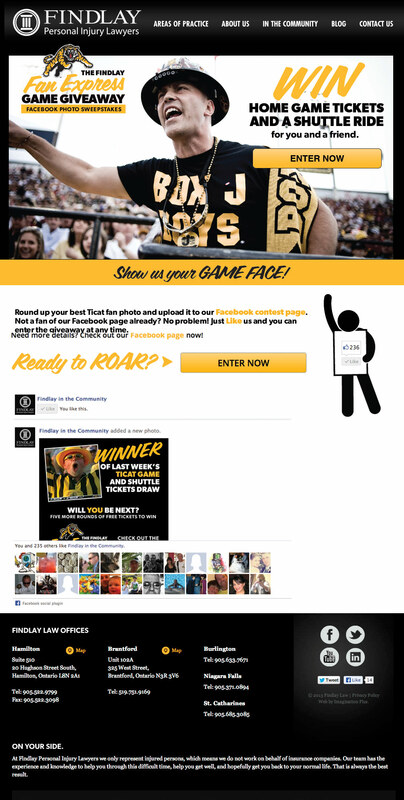 The Findlay Fan Express Game Giveaway allowed Ticat fans to submit their fan photos for a chance at free game tickets. We used fan-gating to raise Findlay’s “likes” and also prompted users to “share” the contest to earn more points, which also increased the number of likes. At the football games, winners were announced at half-time. Fan were encouraged to snap and post photos right then for a chance to win tickets for the following game. Response from both Findlay Law and Ticat fans were phenomenal. 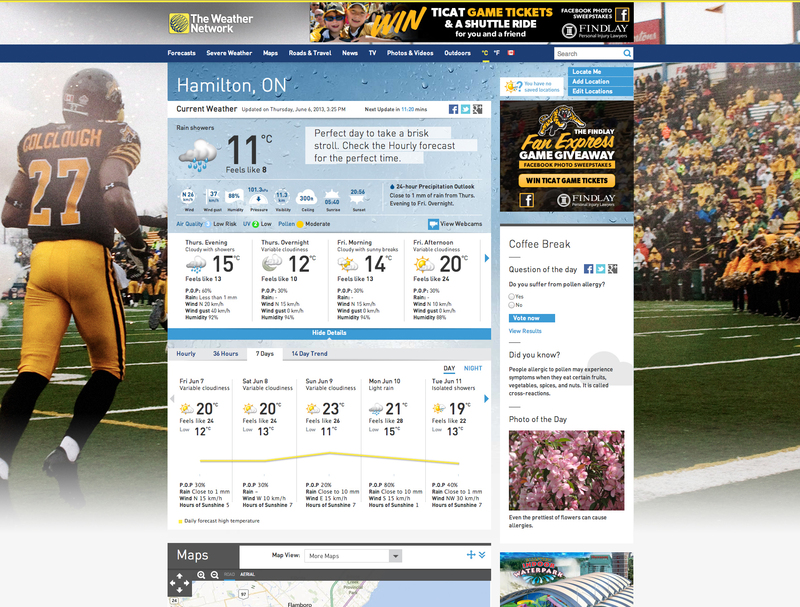 Various ads ran on Ticats.ca, IAB, and fullscreen on The Weather Network (see below).